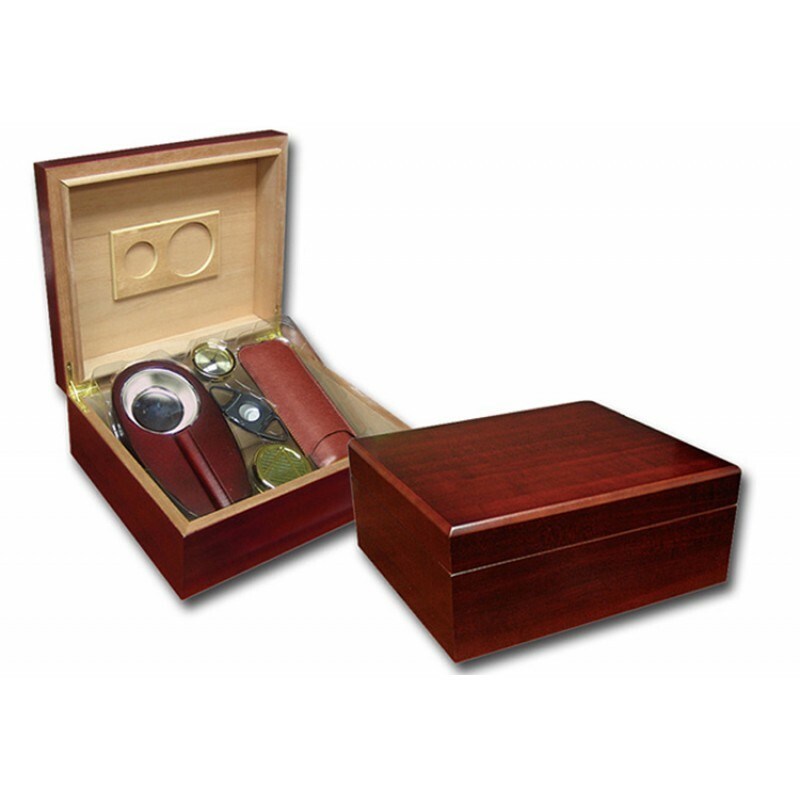 This cherry wood humidor gift set is the perfect choice for the cigar enthusiast. 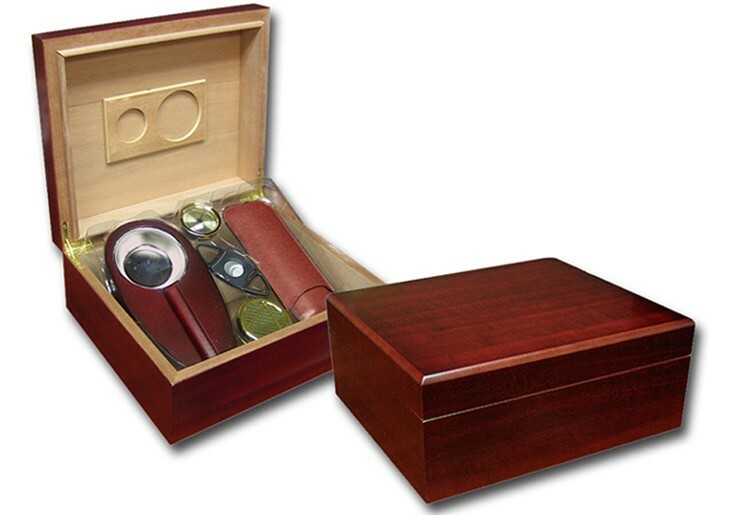 The Diplomat humidor carries a clean & classic exterior appearance. Opening the humidor reveals a fantastic collection of smoking accessories including a hygrometer, a humidifier, a double blade guillotine cutter, a 2 finger leather cigar case and a solid wood ashtray with a cigar bed and stainless steel reservoir. The Diplomat humidor is fully lined with spanish cedar and is equipped with an adjustable divider and internal locking hinges. Perfectly maintains up to 40 of your favorite smokes and makes a fantastic gift combination at an unbeatable price.